Delivering a quality service requires a systematic and disciplined approach. Ongoing and periodic assessments require comprehensive monitoring processes and procedures. These in turn provide assurance that the processes in place are working effectively to measure outcomes for children and young people and meet legislative requirements. This workshop considers participants' roles and responsibilities in quality assurance and how the desired outcomes and requirements may be achieved. The workshop considers the Government Paper ‘Putting Children First’ which ensures a framework aimed at providing our most vulnerable children the highest standard of care. Preparing and assessing potential adopters and permanent foster carers is key to a successful placement: many of the children who require new permanent families have had troubled and problematic backgrounds and have complex needs. 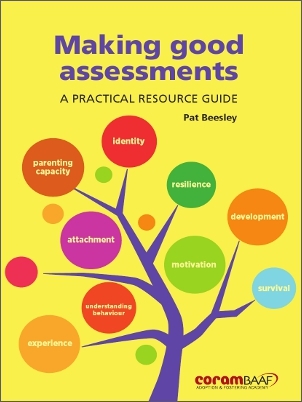 But what makes for a good assessment? What are the critical areas that must be covered? How can workers ensure that the assessment process is an enabling and rewarding experience for the applicant? The assessment of prospective foster carers and adopters is amongst the most important aspects of family placement work. 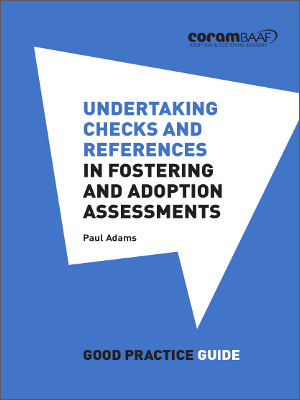 Undertaking checks and references is a key part of these assessments, and a core task for social workers. But which checks are mandatory, and which are advisable? Which checks are needed in each UK country? Which are likely to yield the most useful information? This workshop is aimed at advanced social work practitioners (if part of role is quality assurance) and social workers. It is also appropriate for panel advisors of fostering and adoption panels. Sorry, but this event has passed and tickets can no longer be purchased.